Police and intelligence agencies continue to sift through alleged killer Brenton Tarrant’s background. It is understood that his travels in eastern Europe are a particular focus of the investigation. Far-right groups have a strong presence in eastern Europe. It remains unclear what, if any, connections Tarrant had to groups in Australia. 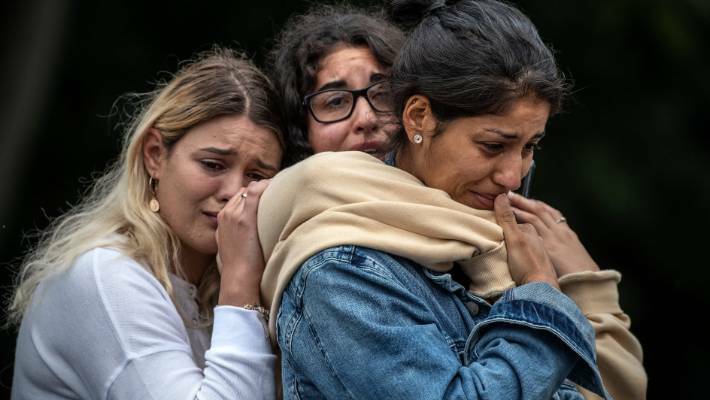 Young women weep as they hold each other for comfort during a students’ vigil near Al Noor mosque, after the shootings in Christchurch. Since the 2015 anti-Islam Reclaim Australia rallies, the far-right has steadily grown, splintering off into dozens of medium-sized groups that predominantly spread their message through Facebook. Significant groups include the United Patriots Front and the Antipodean Resistance. Some far-right Facebook pages, such as Nationalist Uprising – run by Neil Erikson, one of the men who called former Labor senator Sam Dastyari a “monkey” in a Melbourne pub in 2017 – have more than 100,000 followers and routinely put out anti-Islamic content. Erikson denied knowing the alleged perpetrator of the Christchurch attack, and said no one else in the far-right community had heard of him before Friday. On Monday, a group called The New Guard endorsed the Christchurch massacre on its Facebook page. Home Affairs Minister Peter Dutton stressed on Monday morning, in an interview with the ABC, that Tarrant had spent just 45 days in Australia in the past three years. He said that from the moment he started in his portfolio, security agencies had been discussing the far-right threat. 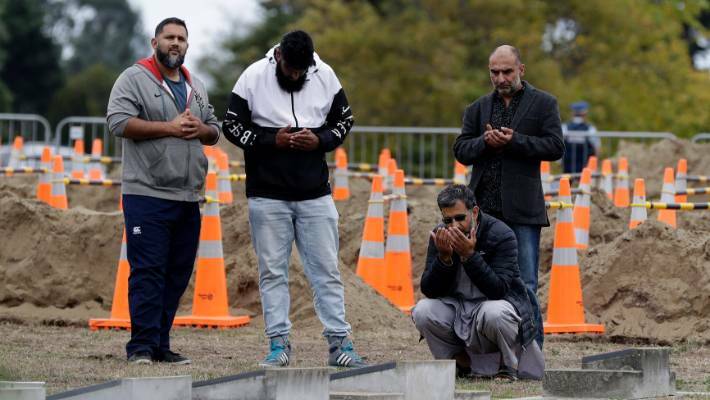 Men pray at the Muslim cemetery in Christchurch, after 50 people died in Friday’s mosque shootings. A law enforcement source said he had long believed the next large-scale terrorist attack by an Australian would be by a right-wing extremist. The majority of terrorist attacks in the United States for instance had been by members of the far-right. He said not enough was being done to track far-right groups. But he added that Tarrant would have been very hard to pick up unless he had made a mistake. Most experts and insiders say that Tarrant most resembles Anders Breivik, the Norwegian far-right terrorist who killed 77 people in 2011, who also acted alone. 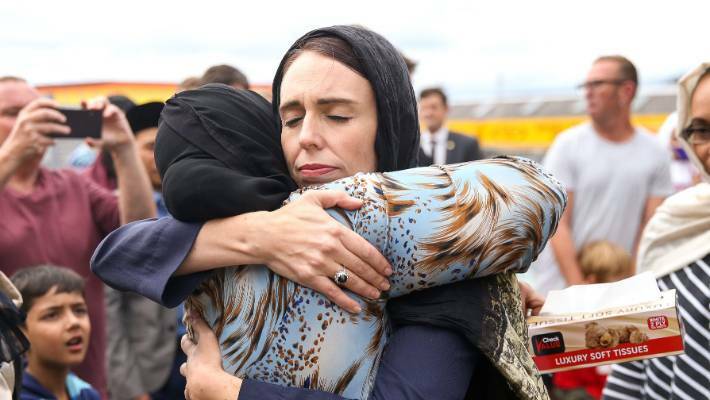 Prime Minister Jacinda Ardern hugs a mosque-goer at the Kilbirnie Mosque on in Wellington. Fifty people are confirmed dead following the shooting attacks on two mosques in Christchurch on Friday. One informed insider said that unless Australian authorities were able to fully monitor the “dark web” – the extreme edges of the internet where many extremists and criminals connect – they would struggle to pick up people such as Tarrant. A former skinhead who now works with the group Exit Australia to help people get out of the far-right scene said he had told federal and state governments they needed to pay more attention to right-wing extremism. He asked not to be named because he consults for governments around the world on far-right violence. He said he was aware of about 100 far-right groups in Australia. 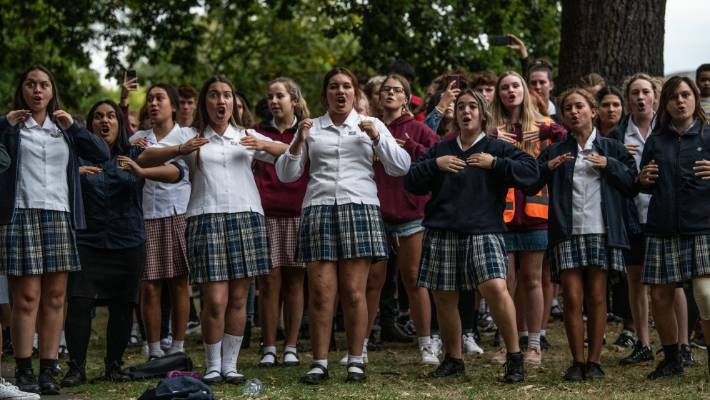 Schoolgirls perform a haka during a vigil near the Al Noor mosque in Christchurch. Only one far-right terrorism case has recently reached the courts. Phillip Galea has been charged with planning to bomb three targets including the Trades Hall in Melbourne. Experts took varying views on whether Australian authorities had paid insufficient attention to far-right extremism because they were focused on Islamist extremism. Security authorities have frequently raised right-wing extremism as a concern. Australian Security Intelligence Organisation (Asio) boss Duncan Lewis has repeatedly told Senate hearings it is a threat, including in October when he said that while it was “coming off a very low base”, the far-right was a rising concern because “they’re probably a little bit better organised than they have been in the past”. The far-right has mostly been regarded as fragmented, disorganised and beset by infighting. Michele Grossman, a world-renowned expert in radicalisation based at Deakin University who has worked with state and federal police, said far-right groups had been around for decades but recently had become more organised and were being emboldened by a “permissive environment” that now existed for extreme views. 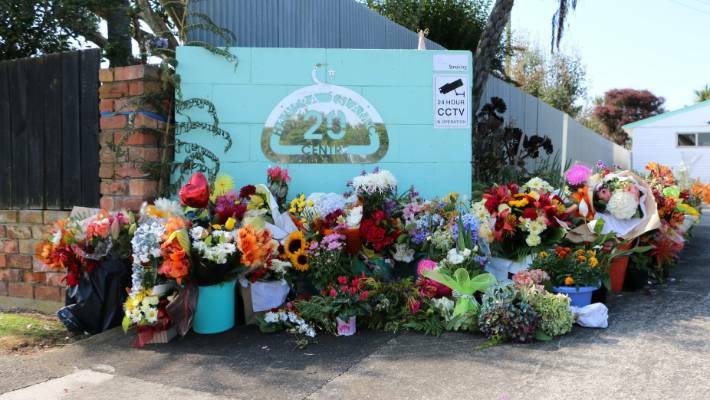 Buckets of flowers festooned the gateway of the Hawera Islamic Centre, in the wake of the Christchurch mosque shootings. The Christchurch killings showed “a new willingness to carry out violent actions based on that narrative that right-wing extremists globally are spreading. She said that although authorities had focused more on Islamist terrorism than threats from right-wing extremists, it was also the case that violent right-wing extremists such as Tarrant were hard to spot because they tended to be lone actors or work in very small cells. And unlike Muslim communities, there were few trusted local channels for members of the public to come forward when they were worried about a far-right extremist in their community. Julian Droogan, an extremism expert at Macquarie University in Sydney who edits the Journal of Policing, Intelligence and Counter Terrorism, said the far-right was definitely growing as a political movement. “Certainly from the research that we’ve been doing, we see a huge growth in far-right sympathies and political opinions,” he said. 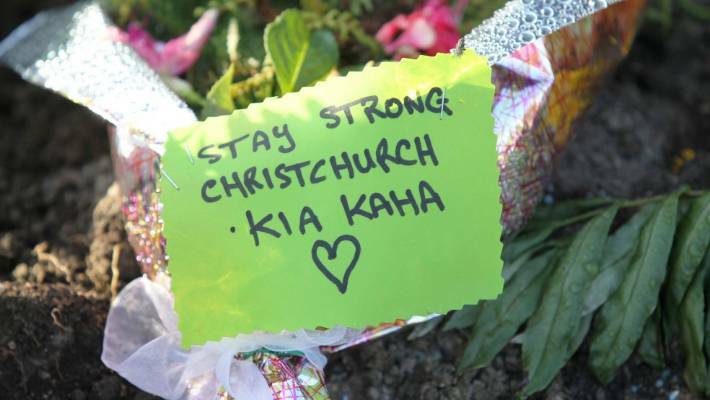 The Central North Island town of Tokoroa shows it is standing with Christchurch. He shared the view that extremists were being emboldened by the less restrained views being pushed in mainstream political discussion. “With the far-right, it is harder for mainstream anglo-centric society to identify it because it is an extreme extension of everyday political discourse in the country,” he said. Jacinta Carroll, a terrorism expert at the Australian National University, said one key concern would be if far-right groups in Australia linked up the organised crime gangs, as this could give them access to guns. She said that intelligence and police agencies had to prioritise “depending on where a threat manifests” and previously “there has been more of a threat coming from Islamist terrorists”.